Make your Easter eggs shine! 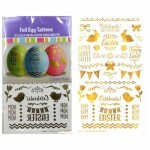 With Metallic Gold Easter Egg Tattoos, you can easily decorate chic and trendy Easter eggs. 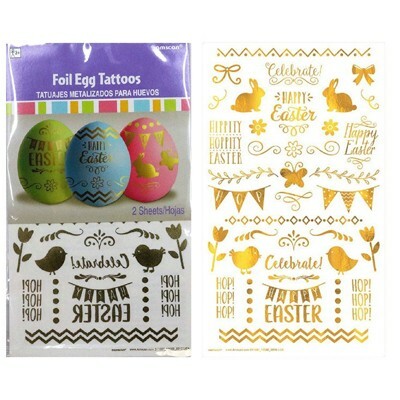 Simply apply the tattoos to hard-boiled eggs with a damp cloth and you instantly have Pinterest-worthy Easter eggs.